Ep. 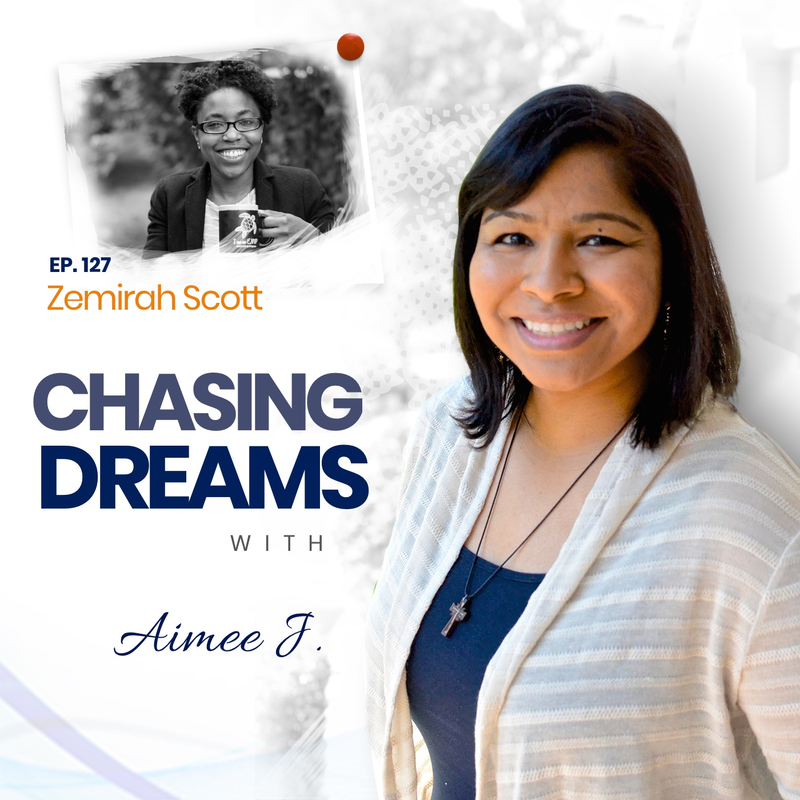 127: Zemirah Scott – Take Back Your Life | Aimee J. We are kicking off Black History month 2018 with a special friend of mine, Zemirah Scott. She is a philanthropist, branding marketing analyst, personal trainer, and business owner. She has a profound way of igniting lives, and we clicked immediately the very first time I met her. She is a former Temple University and Montgomery County Community College student, and her mission is to supply resources and tools for entrepreneurs and small businesses to gain economic stability. Since 2013, she has been the CEO of her marketing branding company, The Difference Development Group, better known as DDG-Philly in the City of Brotherly Love. Zemirah has truly impacted communities around her by her involvement in small business development, speaking at conferences, and mentoring youth. Her desire to give back has allowed her to amplify her knowledge, expertise, and professionalism. Her vision to propel and ignite the dream chaser inside each of us is everlasting, and that is what she is bringing to us in this episode. Who are the people that surround you? Zemirah says that this is an important thing to consider. We MUST surround ourselves with people who do amazing things! When she faced depression, she knew that it was necessary to “be the best me” and make changes. To excel at an optimal level, there may be people that you don’t need in your life, so drop them—and drop the negativity! Find ways to either change you or change your environment. Have you made excuses as to why you CAN’T do something? We would all probably admit that we do. Zemirah shares her experience when she had promised to write a book, but then decided to put it on the back burner because she had internal battles and a lot going on in her life. Her coach said, “It’s not really about you,” and that comment gave her a new perspective and new motivation to follow through. We owe it to ourselves to uplift someone else. Massive failure equals massive success. [5:34] Intentionally seeking out people who do amazing things—and drop the negativity! [28:07] Upcoming from Zemirah—the scoop on Legendary Live! I would rather work 100 hours for myself than work 40 hours for someone else. How am I gonna know if I don’t try? Sometimes people have dreams but don’t go after them.